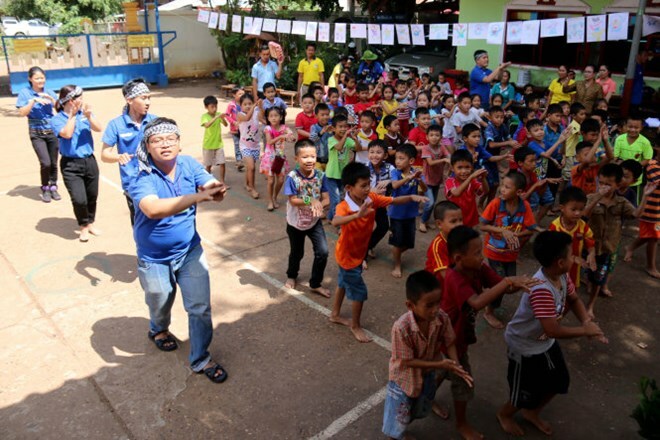 Vientiane (VNA) – Over 30 members of the youth union from the Ministry of Public Security have conducted an array of voluntary activities in Laos during their visit to the country from July 28 to August 5. On July 31, with support of modern equipment like scanners, electrocardiographs and endoscopes, the volunteers offered free medical check-ups to 500 local people and security officers in Vientiane. They also provided free medicine for Vientiane residents. Earlier, the delegation also paid a courtesy visit to Vientiane security leaders and had an exchange with local security forces’ youths.